Posted April 5, 2018 by The Rapid & filed under News. 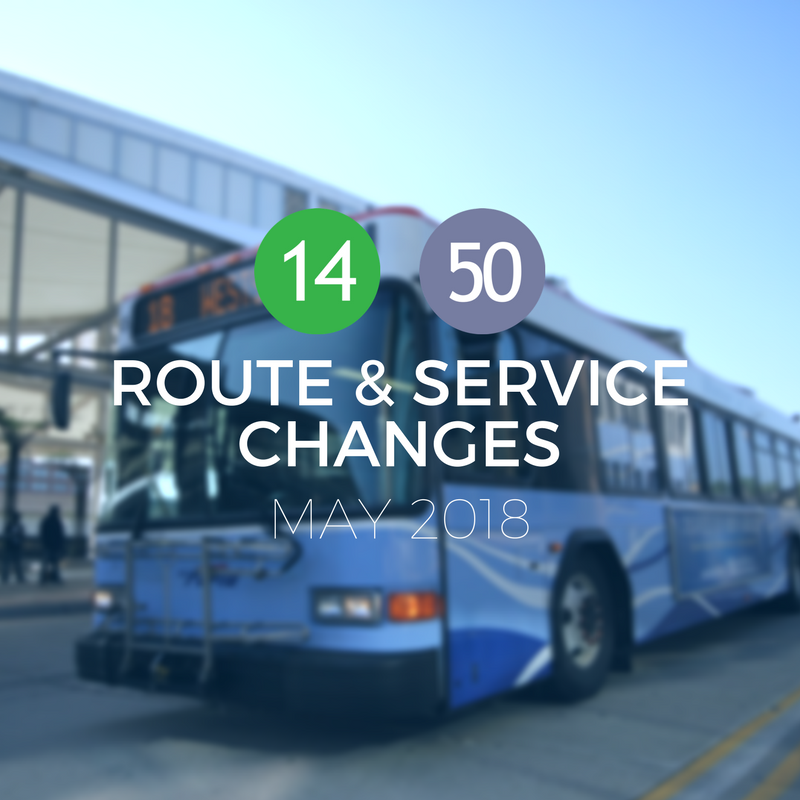 Route 14 and 50 will be undergoing some changes this May. Beginning on May 1, 2018, Route 50’s Pew Campus bus stops on Front Street will be changing. There will be two separate bus stops on Front Street—one for each direction of travel. — Eastbound Route 50 bus stop: A new bus stop sign will be placed just east of the curb cutout this will be the eastbound stop for those riding The Rapid to CHS at Michigan and Lafayette. — Westbound Route 50 bus stop: The existing bus stop under the expressway at the curb cutout will become the westbound stop where you can ride The Rapid to Allendale/Kirkhof. Also taking place on May 1, 2018, Route 50 will travel Michigan, left on Coit, right on Hastings and right on Lafayette back to Michigan. This change is in place due to construction taking place this spring near CHS. The bus will no longer have dwell time by CHS. Beginning on May 7, 2018, Route 14 will no longer travel Michigan to Plymouth. 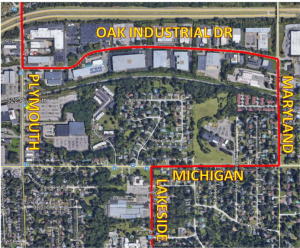 This change is being made to better serve the Oak Industrial Drive area. 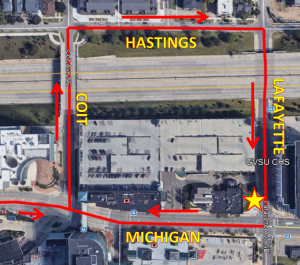 Route 14 buses will travel Lakeside, turn right on Michigan, left on Maryland, left on Oak Industrial, right on Plymouth. Westbound routing will be the same but in reverse.